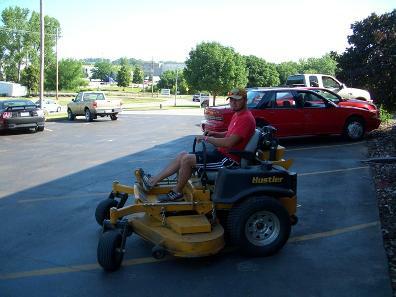 ¨ A smooth cut from our professional grade mowers. ¨ Clean up of leaves, so that raking your yard will be a thing of the past. ¨ All edges will be trimmed. ¨ All grass clipping will be blown off of your driveways, sidewalks, and patios. Your yard will be cut weekly, generally on the same day of the week (weather permitting). Also, if your yard does not need to be cut due to lack of growth it will not be cut that week. You will receive a bill by mail at the beginning of the following month for work performed in the prior month. Leaf clean up in the fall will be added to your normal bill. The price for fall leave cleanup will depend upon the amount of time that is spent on your yard. All leaves will either be mulched or hauled away. Please contact Cole to set up an estimate or for further questions.